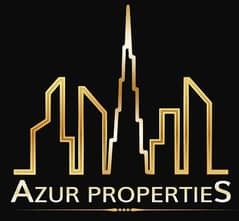 Azur Properties proudly presents this beautiful 3 bedrooms with maid`s room located at The Residences tower 6,downtown Dubai. - 3 Ensuite Plus Maids. - 1Utility ( Laundry ) Room. - Full Burj Khalifa and Fountain views. This three bedroom apartment in The Residences Tower 6 is now available to rent. Comprising of a fully equipped kitchen, guest bathroom, seperate dining area, spacious living room with panoramic views of the Burj Khalifa and Fountains, 3 double bedrooms with en-suite, walk in closet, fitted wardrobes, walk in shower and a balcony. Downtown Dubai is one of the most prestigious addresses in the world. Millions of tourists visit every year to see the Burj Khalifa, the worlds tallest building, the impressive Dubai Fountain and the worlds biggest shopping mall, all within a square kilometer.